The intro to this book is especially useful as a summary of what artists looking to create projects using this style really need to know about the history of traditional henna body art. 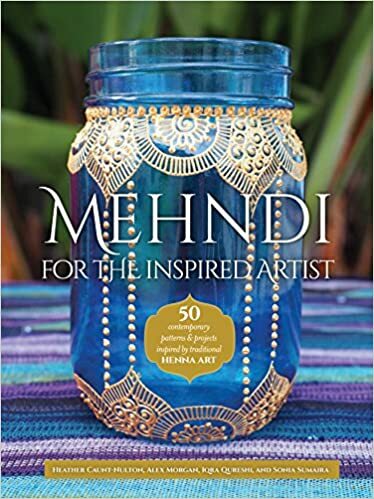 The main sections of the book are the step-by-step instructions for how to draw traditional henna-inspired motifs in any medium, as well as step-by-step instructions for a wide array of craft projects ranging from drums, to home decor, to jewelry. Note: it’s not a whole book on how to do traditional body art, although the intro and the drum/tambourine project do give you some useful info about it.